Whether class or race is the more important factor in modern politics is a question right at the heart of recent history’s most contentious debates. To escape this deadlock, Asad Haider turns to the rich legacies of the black freedom struggle. Drawing on the words and deeds of black revolutionary theorists, he argues that identity politics is not synonymous with anti-racism, but instead amounts to the neutralization of its movements. It marks a retreat from the crucial passage of identity to solidarity, and from individual recognition to the collective struggle against an oppressive social structure. 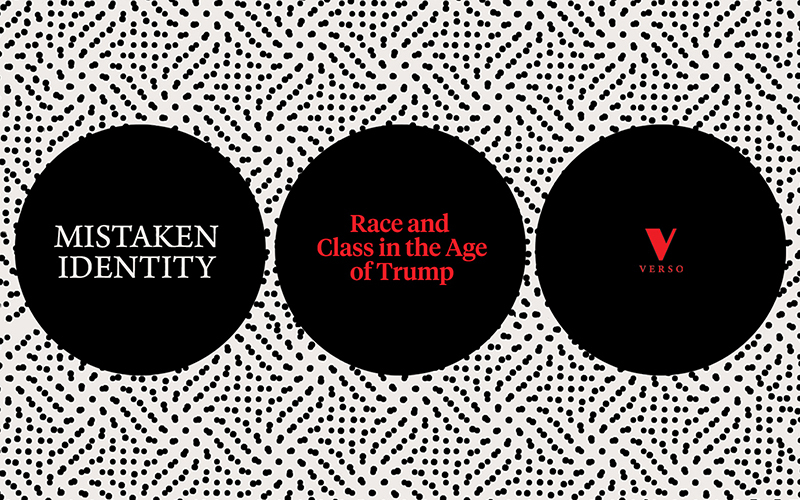 Mistaken Identity: Race and Class in the Age of Trump by Asad Haider is on sale for 40% off until Sunday, May 27 at 11:59PM EST. PLEASE NOTE THAT THIS SALE IS NOW OVER. Check out the Mistaken Identity Playlist, a playlist of songs that informed or express aspects of the theory and history presented in Mistaken Identity. Check out Asad Haider's essay, The Spirit of 68. The experiences of 1968 show us that it is possible to organize against racism as part of the structure of American capitalism — and to join together projects of street protest, popular education, workplace struggle, and political organization.